As the saying goes, there’s more than one way to skin a cat (with all due respect to PETA). Here’s my offer: if you install Truemors for Facebook, invite ten friends to install it, and post a few truemors, I will send you an autographed copy of The Art of the Start. You might wonder how I’ll know if you installed Truemors and invited ten people. The answer is that I am going to trust you. There’s one limitation. I will only ship books to addresses in the U. S. because I don’t have the bandwidth to figure out shipping and customs to every country in the world. Note: I said I will only ship to U. S. addresses. For example, if you live in Kazakhstan and have a friend or relative (“Borat”) in the U. S. who can get the book to you, go for it. Please proceed by installing Truemors. After you’ve invited ten friends and posted a few truemors, send your name and address to this email address. This offer is limited to the first two hundred people. If I already have a marked up copy can I send it to you to sign? Or maybe I’ll get the free copy and sell it on eBay…..
By the way, I see someone posted about this at 1:18 am. Giving some people the jump on your announcements? Good luck getting Truemors rolling. The honeymoon period is over, and now we get to see how much traction it can pull over a long period of time. Members application allows us to only invite 10 people per day. So tomorrow anyone should be able to invite another ten people. This will take around a week for me to do, but I have a pretty close networked group of friends so I can have them invite their friends as well. Hopefully you will get around 200 people signed up from 1 lead. Does this mean I can’t avoid facebook anymore? Aiks! I have a feeling this still stir up the internet melting pot. Is this one of those instances where Canada is counted as the US, too? Shipping costs are identical as far as I’m aware. Anyway – good luck with getting this rolling. See if I can invite a bunch of people now. Sorry I live in Europe. Is Facebook the next best thing? I just noticed that you also have a profile at Linkedin with “no invitation welcome.” I would I thought you were more friendly. By the way Linkedin just added another feature to invite your friends in the list of mail you use; for example AOL, Hotmail, Yahoo, etc. They need to move fast, don’t you think? Guy, I feel left out. I thought your favourite country was Canada! Guy, I do not understand. Why are you losing your marketing guru credibility for promoting this web site? – It’s in my DNA to evangelize stuff. I cannot not do it. – I need to make a living. – Would you rather read the theoretical ramblings of someone who never has to actually build and market things or someone who is on the firing line? I hand you a way to get a free book for five minutes of effort, and all you can do is complain? One man’s begging is another man’s evangelism. App installed, trumors posted, friends invited, email sent! I look forward to receiving the book (I hope I was within the first 200?..). Thanks. This blog was a lot more interesting when every third post wasn’t promoting your new site. Please provide me and other readers your list of blogs with higher signal to noise ratio than this blog. Have you heard the latest on Truemors? Please use our service otherwise how we gonna survive. In response to your ongoing battle against MBA’s, here is an article that states why we are important. Guy, despite your multiple cracks on MBAs, there were about 20 students from the Haas MBA program at your Bay CHI presenation yesterday who are all big fans of yours. We’re all going to install the Facebook Truemors app, but only expect one book 😉 Stay tuned. I bought it last week, I read a part of it every day. I’m French, living in Ireland, but I’ll invite friends anyway without wainting for something in return. I will then installed Truemors for my facebook account and invite people to do so. But the translation ruined it! Sadly they don´t put to much faith in it ehehhe But the ones that read it loved it! Nice. I scored one. Does anyone know of a good read about what do week 1 of launch? assuming your product is up and most major bugs are out of the way and its just you and a computer (no PR firm).. Okay, you’ve finally convinced me to visit Truemors…We’ll have to see about the facebook install. Thanks for all the energy! Keep on writing and speaking. I really do not know how these viral campaign may work. But, SPAM is a good idea, I think, for them. Despite being in Canada (which shipping to isn’t all that complicated, still North America, right up top Guy), I did what you asked in this post and will keep checking in on your blog and Truemors as I always have. Glad to see you busting out the facebook viral plan and practicing what you preach, unlike many authors out there. Guy, I bought your book 2 or 3 years ago! It would be nice to have autographed copy but you don’t send books to Europe. Sounds Fair enough…now whats the book about? Sad to see such a great website turn in to a marketing tool for truemors. Best of luck Guy, but I don’t want my RSS feeds full of junk marketing. Thanks for all the insights – it was great while it lasted. Unsubscribing now. I received the book in the mail today. I’ve also enjoyed using the app. My free, autographed copy of The Art of the Start is officially in my hands today. I look forward to the reading, thanks. Hi Guy — Just got your book in the mail. Thank you! The Truemors are right, “The Art of the Start” is a “must have” guide — for anyone starting anything! Thank you!!! Interesting idea. 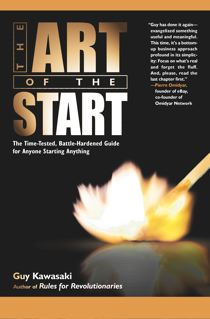 I already have a copy of the Art of the Start, but an autographed copy would be nice. However, not enough to get me motivated to do this. At the risk of sounding crazy, you might get more takers if you offered something a little bigger, like whoever does this gets entered into a lottery, and an objective person picks one winner. The winner gets dinner and the chance to pick your brains about anything he/she wants. And you’ll pay for the transportation to the winner, and the dinner. That would motivate me to do this. And maybe a few others. I am from India and lot of people are looking at Truemors. I truly agree about not shipping to non-US countries due to various reasons.But one thing that you are losing out here is penetration in the other countries.You are one of the bloggers who is discussed a lot about in BarCamps,BlogCamps and many other unconferences across the country. I received my book a couple of days ago. Incidentally I had picked up a copy at the library just a week before you made the offer. 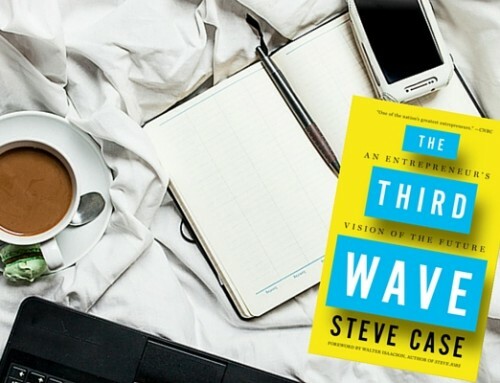 I’m enjoying the book and look forward to seeing you speak at Innovate. Loving the book so far. Thanks for the signed copy. Cannot wait to read the rest! Is this offer still open, or have you reached 200 people yet?